John Smiley was a sheepherder who settled on a lake in the vicinity in the early 1870s. 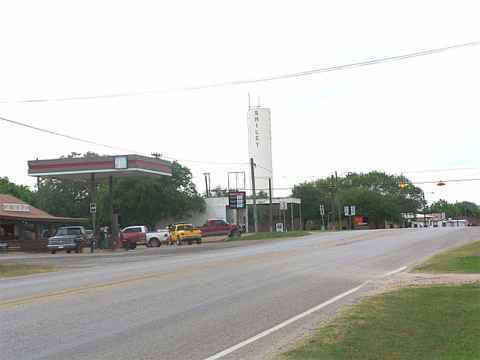 The lake became known as Smiley�s Lake � and older Gonzales County residents knew Smiley as Smiley�s Lake. By the turn of the century � only the name Smiley appeared on maps. Cattle herds driven to market watered at the lake. Businesses soon sprang up to cater to the drovers and by the 1880s � a town was born. 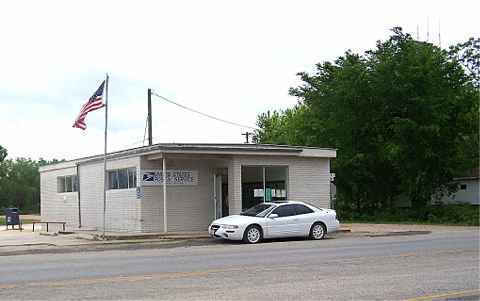 A post office opened in 1884 and within two years Smiley became Gonzales County�s number three city. By 1896 the community had several hundred residents. In 1905, the Galveston, Harrisburg and San Antonio Railway came through the area north of �old� Smiley. The town incorporated in 1911 but was devastated by a fire that same year. By the 1920s Smiley had an estimated population of 600. In the 1930s and 1940s it became well-known as a poultry-processing center. In 1964 the population fell just below 500 and remained at that level for the next 35 years.